Sounding weird? But for those who believe in mythology or has a strong interest in reading the myth can correlate the phrase with the Greek titan Prometheus, who was tortured by the hideous attempt of Greek God to punish him for exposing the secrets of gods to men! His liver was preyed by the eagles and his sufferings went eternal due to the liver’s ability to redevelop. Although eagles grew weary of the daily feast from a constantly replenished source; the legend tried to explain the world, the unexplainable………….the substratum of the “Ability of Regeneration”. Let’s explore a science behind the enigma of regeneration! Regeneration in medicine, as has been tagged, typically involves achieving back the lost functions of various organs to address vast majority of medical problems. However scientists, who have commented on the history of the regenerative medicine, have also debated over the facts that organs most liable to be injured and therefore most likely in need of regenerative treatments are indeed those with the greatest regenerative capability. The Liver can be topped amongst this list. Our liver is a phenomenal organ with an intrinsic capacity to regenerate after its loss either by accident or from injury. 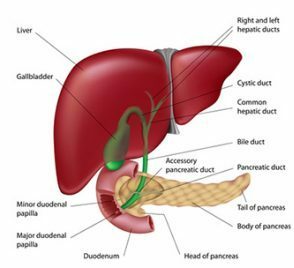 This tremendous regenerative potential of liver has been observed in number of liver treatments in rat models wherein after partial removal of the liver approximately 70% of the lost tissue is generated. The similar situation has also been observed in case of human beings where few years after the liver treatments with organ transplants, it becomes hypertrophic i.e. gets bigger to compensate for the loss. If this is the case then questions might arise in your mind that how does liver regenerate on its own, and if it does, then why does it need an external dose of regenerative medicine? The answer to this question lies in the fact that the tissues like liver have inherent sources of power inside them. They are as such entities which are ready for the action all the time. If given appropriate circumstances they can interact with the surrounding environment to stop further destruction and to enhance repairing of what has been damaged, as a routine practice! They are named as “Stem Cells”. Stem cells, with the capability to be any cells of the body can trigger reparative regeneration inside the liver to form lost hepatocytes. But in chronic conditions such as scarred liver tissue, liver injury etc, these cells have to do whole lot of work and hence become overburdened. This stressful situation provides the rationale for liver losing its ability to regenerate over the period of time with the complete functional damage. But with the scientific advances more people are inclined towards the liver treatment using stem cells for boosting the process of its healing with a minimally manipulative technique. Apart from liver there are some other habitats for residential stem cells such as Adipose Tissue, Bone Marrow which can be isolated outside the body. Thanks to the advances of the tissue culture techniques! The Technique is helping worldwide healthcare professionals to isolate stem cells outside the body, concentrate them in large number and reinsert back into the targeted site, where they can secrete number of growth factors, cytokines etc to start the process of healing. So the bottom line is that in a common man language, we can use our own tools for our own problems i.e. stem cells residing in our own body are very plastic and can be transformed into any cells to be any organ, what needed is the desire to heal and an expert!